You are here: Home › What’s New in the Exciting World of Hatchimals? Spin Master announces the newest members to its growing Hatchimals family. 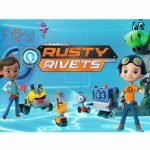 Spin Master recently announced the newest toys to the popular and growing Hatchimals toy line. 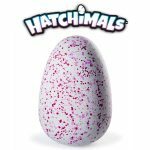 So what is new in the world of Hatchimals? New to the Hatchimals toy line will be new glittery versions of Hatchimals CollEGGtibles based on the new Hatchimals Glittering Garden toys. There will be a 12-pack and 2-pack of Hatchimals CollEGGtibles Egg Cartons. The 12 pack is a great way to quickly build your collection. Each of the 2-pack Egg Cartons will feature exclusive Glittering Garden Hatchimal CollEGGtibles. In all, there will be six animals to collect in this collection. Meanwhile, the 12-pack CollEGGtibles Egg Cartons will have an exclusive Flamingoose figure. Fans will be excited to try and find this one in one of the sets. 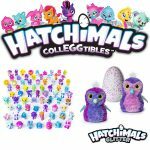 This is a strategy to keep the momentum going with Hatchimals CollEGGtibles which have been very popular collectibles this year, riding off the tremendous success of the Hatchimals last year. Spin Master expects these new additions – Hatchimals CollEGGtibles Egg Cartons, Hatchimals Glittering Garden, and Hatchimals Glitter – to help boost the company’s revenue for the remainder of 2017. The eggs will feature glittery designs and each egg will hold a different surprise for fans to discover. The bigger Hatchimals, Hatchimals Glittering Garden, will bring back some of the original animal creatures from the original Hatchimals line. They will have shiny eggs and these Hatchimals Glittering Garden characters will feature sparkly glitter to appeal to a new crop of fans as well as appeal to previous Hatchimals fans. 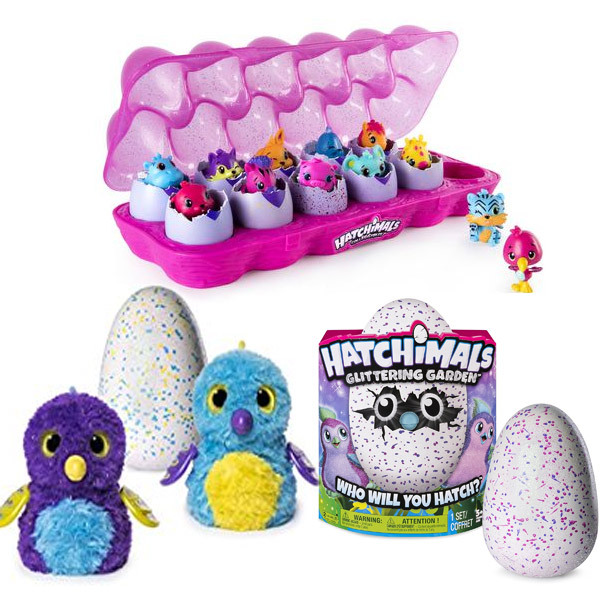 Ben Gadbois, President and COO of Spin Master, expressed that the company is excited about the enormous success of the Hatchimals worldwide as well as the successful market debut of their latest property, Hatchimals CollEGGtibles. Because collectibles are a hot trend, Spin Master has strategically decided to bring the surprise hatching phenomenon to the market with a more affordable price and it seems to be paying off. 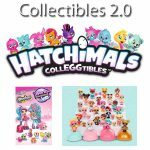 The Hatchimals CollEGGtibles line features more than seventy collectible figures to collect in all. Ultimately, Spin Master plans to build the Hatchimals brand into an evergreen property around the world. Spin Master’s innovation with Hatchimals CollEGGtibles captures the essence, magic, and excitement of the Hatchimals brand, and it is well poised to be at the top of many children’s Christmas wish lists in 2017. In related news, Spin Master also announced that new collectible Zhu Zhu Pets will be arriving on store shelves. The new Zhu Zhu Pets characters are inspired by the Disney animated series. Here are the characters fans can look forward to: Pipsqueak, Num Nums, Chunk, and Mr. Squiggles. Zhu Zhu Pets accessories are also slated for release, including Zhu Zhu Pets Adventure Ball, Zhu Zhu Pets Wheel and Tunnel, and Zhu Zhu Pets Carrying Case.